The Office has to be one of the most loved shows in modern times. It’s happy-go-lucky attitude and cast of lovable characters (as well as its convenient homestay on Netflix) has worked its way into the hearts of viewers everywhere. While lots of people advocate the the original English office is better, we all know which one is actually king sitcom. Since then, the Philadelphia Flyers, the Washington Capitals, and the Vancouver Canucks have all gotten in on the action. The content withing generally features establishing shots of the given city, as well as “Office like” moments of players from the team. 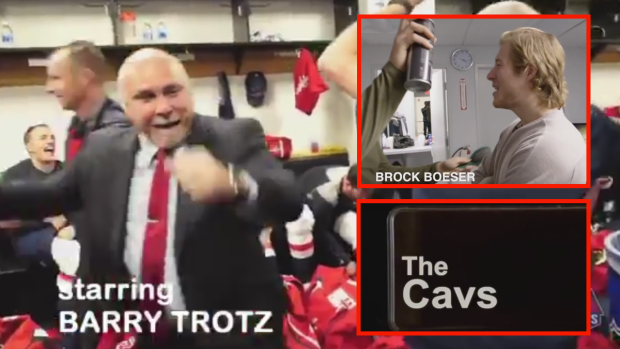 The signature taglines introducing each player are also a staple of these latest trending videos.